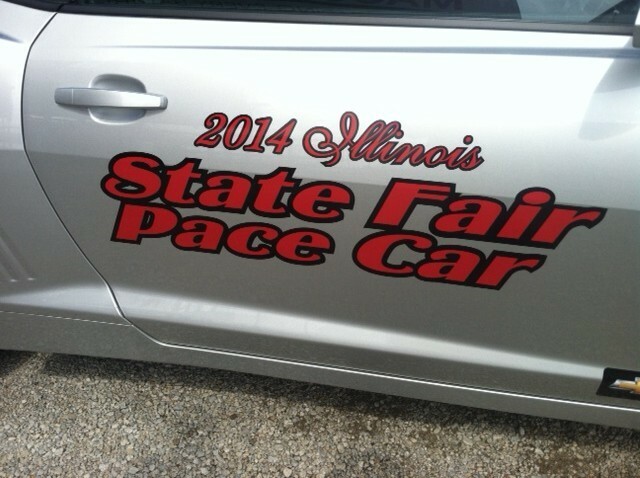 MACON, Ill. – Take a look at the 2014 Illinois State Fair pace car. 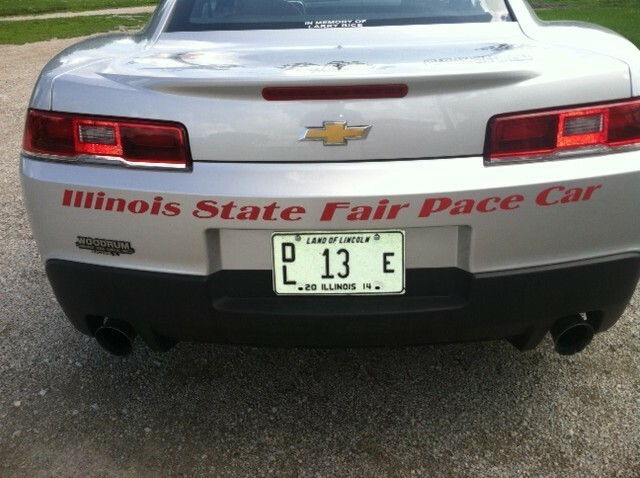 It’s easier to do on the Internet, because this hot Camaro is a silver streak on the road. 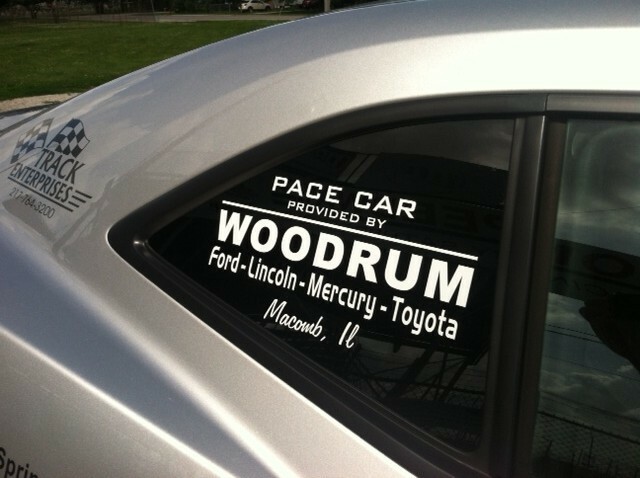 Courtesy of Woodrum Motors in Macomb, this Chevy Camaro is a star attraction, and Track Enterprises, Inc., will show it off the rest of the summer, including race dates at Macon (Ill.) Speedway, the Illinois State Fair and the DuQuoin State Fair. The Chevy Camaro will pace the field at the Illinois State Fairgrounds mile dirt track on Aug. 16 for the Tony Bettenhausen Memorial for USAC Silver Crown cars before leading the pack to the green flag on Aug. 17 for the SuperChevyStores.com 100 in the ARCA Racing Series presented by Menards. 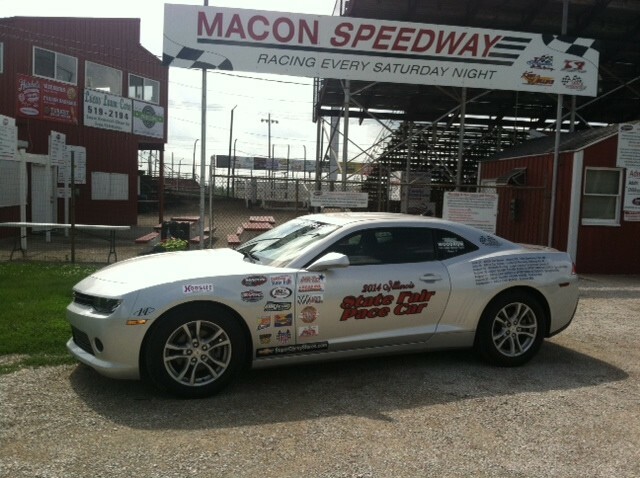 Don’t be surprised to see the Camaro pace car at a Super Chevy Store near you. The Central Illinois Chevy Stores form a consortium of 12 locations stretching across the region. 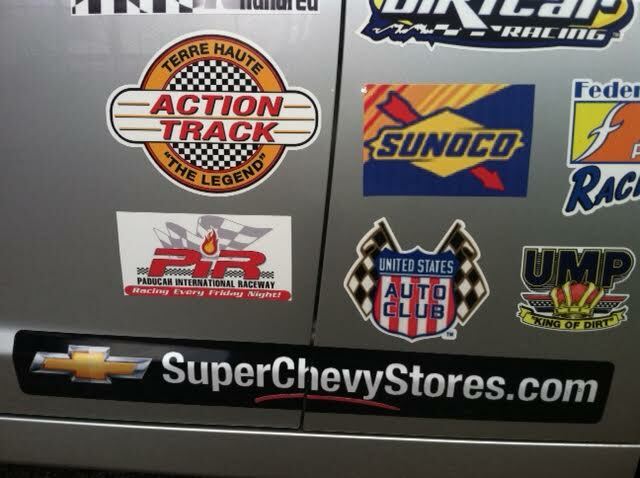 The SuperChevyStores.com 100 is one of two races on dirt in the 20-race ARCA Racing Series season. The unique events bring together dirt track racers from all backgrounds. The Illinois State Fair has a long tradition of stock car racing, and ARCA began sanctioning the event in 1983. This is the 52nd time the famed Springfield Mile hosts stock car racing. ARCA takes center stage on the world’s fastest mile dirt track on the final day of the 162nd annual Illinois State Fair. The ARCA Racing series presented by Menards is in its 62nd season. Last summer, Brennan Poole raced to the thrilling ARCA win in Springfield after locals Kelly Kovski, driving for Allgaier Motorsports, and A.J. Fike were black flagged for jumping a late restart before a large crowd and an NBC Sports Network television audience. Kovski wanted to become the second Springfield native to ever win a championship race at the Illinois State Fairgrounds in more than 70 years of sanctioned championship auto racing. Fike, of Galesburg, attempted to complete the weekend sweep after winning the previous day on the Springfield Mile in a Silver Crown open-wheel race. Other stock car winners on the Springfield Mile include Frank Kimmel, Parker Kligerman, Justin Allgaier, Ken Schrader, AJ Foyt, Al Unser, Ramo Stott, Don White, Roger McCluskey, Bob Keselowski, Jack Bowsher, Bobby Isaac, Bob Keselowski, Tim Steele and Dean Roper.